Most match journeys have some hurdles along the way. Little Sister Alexis and Big Sister Sheila’s match actually began with one. On the day of their first match activity, Sheila couldn’t make it. She was trapped inside her house. “I had a 5- to 7-foot drift of snow in my driveway, and no way to get out, and no way to contact Alexis’ mother,” Sheila says. The two didn’t let the hurdle stop them, though. They had their first match meeting not long after that and began to develop their relationship. Alexis had never been to the library before their match, so Sheila made it a point to change that. The library quickly became one of their favorite places. They loved checking out books and reading to each other. Sheila also taught Alexis how to sew, which she now loves doing. After they had been matched for about a year and a half, Alexis was placed in foster care. For a while, Sheila lost contact with her. She was patient and committed, though, and the match continued. “I was able to find out through BBBS where she was placed, and stayed in touch with Alexis throughout her stay with her foster family,” Sheila says. 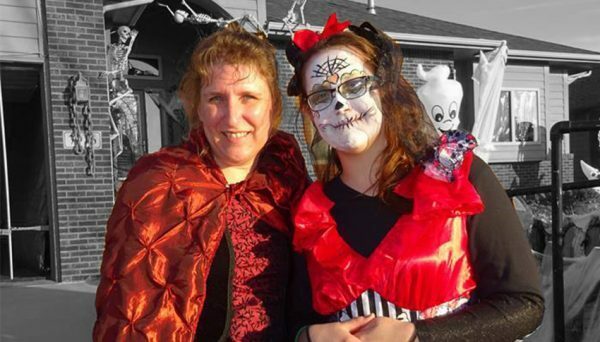 When Alexis moved back with her mother, the match picked back up even stronger than before. The adversity they have faced has only brought them closer. “She has become part of my family, and she knows if she needs anything, I will be there for her,” Sheila says. The two continue to participate in many of their favorite activities, but as Alexis has grown older, they have begun to talk more about college and Alexis’ future. Going to college always presents its own set of hurdles, but if this match has proven anything, it’s that they’ll be able to overcome them all.